GenXalogy: Which ancestor are you going out for a drink/latte with? Which ancestor are you going out for a drink/latte with? 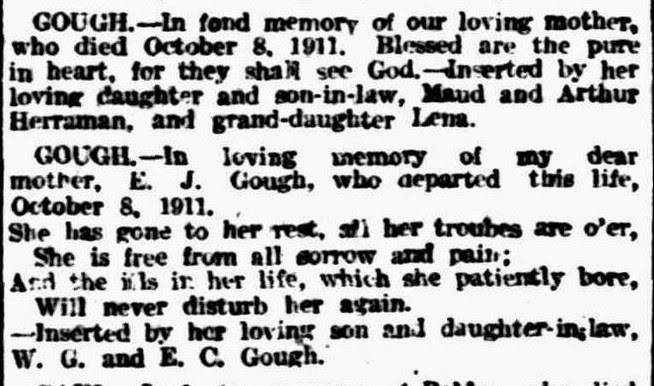 Things have been a little hectic on the home front of late, but there's something genealogical which I have continued to ponder during this time: which ancestors you would just love to sit down and have a chat to. Not for information gathering purposes, but because you would really love to have them share the wisdom gathered over their lifetime. I have a number of ancestors I think it would be particularly fun or interesting to have met, but there's one person above all others who I would most like to go out for a coffee or a champers with, to have a chat to her about her life and what she learned from it. That's my 2x great grandmother, Eliza Jane Duffield. Eliza was born in 1838 in Kennett, Cambridge, to a family of labourers (not landed gentry as the family legend often tells!) At the age of about 17 she came to Australia. At this point she had either met and married or was about to meet and marry Edwin Francis Gough, believed to be a native of County Meath in Ireland. The couple moved about a variety of places because of Edwin's work. Initially they were in Burra where he worked as the turnkey for Redruth Gaol, but he lost his job after an allegation was made that he had assaulted a prisoner. Edwin took his appeals against this all the way to State Parliament, but to no avail. 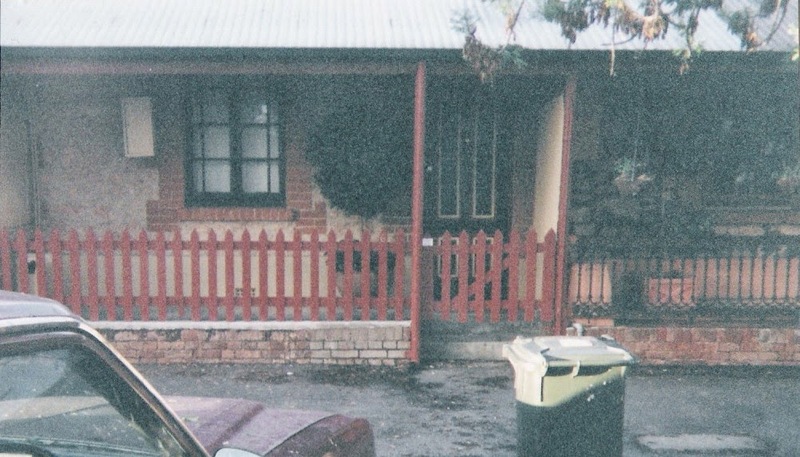 For a while he was a clerk/overseer and then ran a store in Moonta, but then the couple came to Adelaide where Edwin later ran a boarding house. According to her death certificate and burial order, Elizabeth had 7 sons and 6 daughters, and only two of the boys and four of the girls were living when she died. We have so far only traced 9 of the children, so suspect a number of still births, particularly as 7 predeceased her. There appears to have been some serious friction in the Gough household. At least two of the daughters married using assumed names, despite being of legal age etc. and with no obvious impediments (aside from their Catholic faith when marrying Protestants) to marriage. Most descendants are only aware of some parts of the family, and very few are recorded in the family Bible. At least one of Eliza's sons was regularly before the courts, in one instance for failing to pay his widowed mother her support payments. At least one of the daughters had a messy divorce and an affair with a man who was convicted of sexually assaulting women in the Parklands (plus ca change!) Another daughter got divorced after deserting her alcoholic husband, and then totally disappears from the record books. Something had obviously gone very wrong. Eliza must have been a strong woman, She survived so much in her lifetime. If I could, she's the ancestor I would most like to sit down with on a lazy sunny Sunday afternoon, to talk to her about her life and hear what she made of it all. I bet she'd be a granny with some amazing advice.